Okay so Fractured & Formidable has been available for preorder for exactly one week! 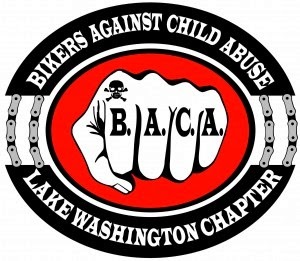 I took a peek and as of today, 228 copies have been preordered for a grand total of approximately $312.68 raised so far for the Lake Washington Chapter of Bikers Against Child Abuse! Thanks so much for your participation and for reading! I am so looking forward to the final numbers for this and to present a check to these guys to support their work in victims advocacy and support for abused children. I will try and keep you guys updated on the preorder totals from now until release day but won’t be able to give you the final grand total for this venture until around the 15th of August when the reports for July come out from amazon. If you’re new to the SHMC series, you have plenty of time between now and July 31st to catch up and buy your copy of Fractured & Formidable in support of B.A.C.A. and their mission. I can't wait to read this!! I have been excited for Mandy and Zander's story since we met them! I'm hoping we get a lot of Em and Dray, too. I love them and that is my new favorite book! Will we get a book with Cutter?? I have a feeling that he and the girl he helps from the Suicide Kings may be a great story! Her Pained Blue Silence is here! Okay, pull up a seat. Let’s talk. A.J. Downey on Her Pained Blue Silence is here! Tenny VVazque on Her Pained Blue Silence is here! Copyright © 2019 Author AJ Downey.